PMDX had been waiting for a stable release of the Machine Kit software with a simple installer to be available before we released this board for sale. It has been a long time and much progress has been made on the Machine Kit, but still no installer suitable for use by people not familiar with Linux system configuration and Beagle Bone Black systems. After many people asking if we would ever release this board, we have decided to go ahead and offer it as a hardware product for advanced users who know what is required to use it properly. PMDX cannot provide support for the installation of software to run this board. If you are not confident of your ability to install and configure the software without help from PMDX, please do not purchase this item. The lack of support for hardware acceleration for OpenGL on the BeagleBoneBlack continues to be a significant deterrent to using the BBB as the console device running a GUI for a CNC controller. Toolpath display using the on-board graphics of the BBB is barely usable, so plan on remote access with the GUI running on another computer if you need toolpath graphics. PMDX will provide an area on our forum to discuss this board with other users. See forum HERE. 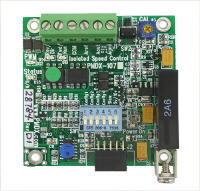 The PMDX-432 is a motion control breakout board for interfacing a BeagleBone Black and providing traditional PC style parallel ports and other I/O signals for controlling a CNC machine, either directly or through other breakout boards. For simple systems not needing optical isolation or spindle control, the PMDX-432 provides the required buffering, filtering, and pull-up resistors to allow direct connection to stepper motor drivers and the limit/home switches needed to get a machine running. While this board can be used for 3D printers, the primary goal was to design a board that is more electrically robust and which can scale up to running industrial CNC machines that require more I/O capability. 1) Signals to the outside world are true 5 volt logic signals while the signals to the BeagleBone Black are buffered and level shifted as required. Signals from the cape which drive into the BeagleBone Black are equipped with series impedance protection in case the BBB software attempts to back drive them. This prevents damage if the software causes both sides to drive the same signal at the same time. 2) There are two ports that mimic IBM-PC style parallel ports. The BeagleBone Black P8 and P9 pin assignments allow byte wide I/O port access from PRUs in the BBB processor to the data signals on the parallel ports to maximize the ability of the PRUs to generate high speed Step and Direction signals. 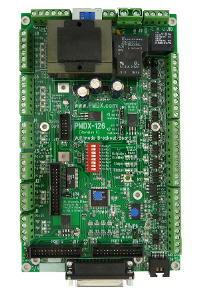 These parallel ports are ribbon headers that can directly connect to breakout boards with similar headers like the PMDX-126, or can have DB-25 female transition cables connected, or with suitable user supplied cables, can be directly connected to motor drivers and switches for home or limit sensing. 3) The Port 1 parallel port has 8 bi-directional data signals, 4 output only signals, and 5 input only signals. Outputs are buffered to 5 volt logic levels and can drive up to 24 milliAmperes. Inputs are 5 volt compatible, have internal pull up resistors to 5 volts, and have RC noise filters and series impedance protection. This signal conditioning allows direct connection of inputs to home and limit switches if desired. These 8 data signals on Port 1 do not have pull up resistors or filters. Direction control of the buffer for the 8 data signals is available to the BeagleBone Black, thus making it possible to do Enhanced Parallel Port emulation in software. 4) The Port 2 parallel port uses the 8 data signals as inputs. The 8 data signals are input only and have pull up resistors, filters, and series impedance protection. The other signals are the same as Port 1 above. 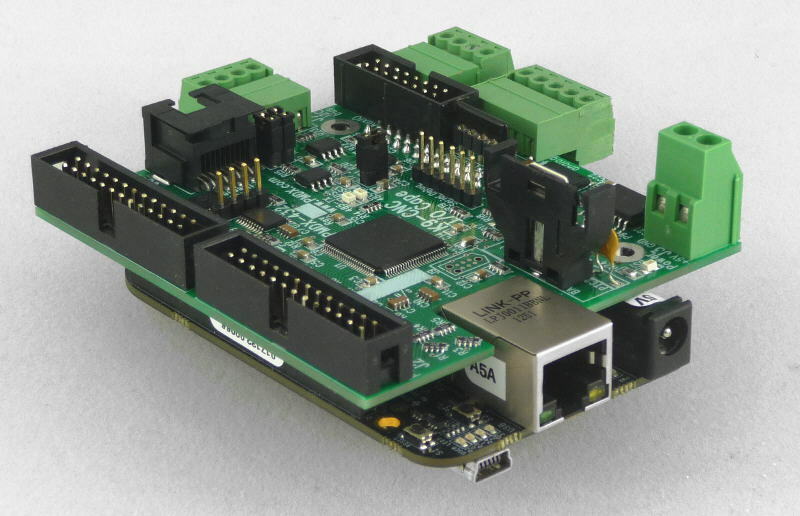 5) The AUX-I/O connector provides duplicate signals needed for optional 3D printer interface so that a dedicated control board for heaters, thermistors, and end of travel detection switches can be connected easily. PMDX may offer a board for this purpose in the future. 6) There is an analog input port with 4 signals. These signals scaled for 0 to 5 volt inputs. Plug-in pull up resistors to allow operation with direct thermistor connections. Plug-in resistors can be removed for use as high impedance general purpose analog inputs. An RC noise filter is provided. The analog inputs are impedance protected against signals up to 12 VDC. 7) The I2C expansion port is available as screw terminals for general use and as an RJ-45 for PMDX accessory boards using CAT-5 cables. The I2C signals are buffered 5 volt levels and provide drive circuits to enhance noise immunity and allow cables with more than 400 pF of capacitance. For boards with limited +5 VDC power requirements, power may be supplied using these connectors. PMDX plans to offer convenient expansion boards for extra I/O using the RJ-45 version of the I2C interface. 8) The RS-485 serial port has screw terminals for MODBUS or other RS-485 devices. The circuit provides auto-direction control. LEDs for RX and TX data traffic are provided. 9) The cape can be powered using dedicated screw terminals for an external hard wired 5 volt DC power input, or the cape can be powered from the BeagleBone Black if the external 5 volt supply jack on the BBB is being used. The USB powered configuration of the BBB cannot be used with this cape. 10) An LED Power ON indicator and a duplicate RESET switch are provided on the cape for easy access. 11) The BBB user LEDs are clearly visible because this cape does not cover them. 12) An optional RTC time of day clock with battery backup is also offered. 13) This cape is equipped with an EEPROM chip. A write protect jumper is provided. This cape uses almost every available pin on P8 and P9 other than the HDMI/LCD and eMMC pins, so it is unlikely that it will be used with other capes at the same time and the EEPROM data for this cape is not initialized. The EEPROM on this cape is permanently set to the first cape address. 14) A duplicate header for accessing the serial debug port of BBB is provided. 15) This cape does not interfere with the eMMC or the HDMI/LCD video pins on the BBB. This allows the BBB to be used as a stand alone control computer with an HDMI monitor and a USB keyboard and mouse if desired. The audio pins of the HDMI interface are used by this cape and audio should not be enabled in the BBB software if the associated signals are needed on this cape. 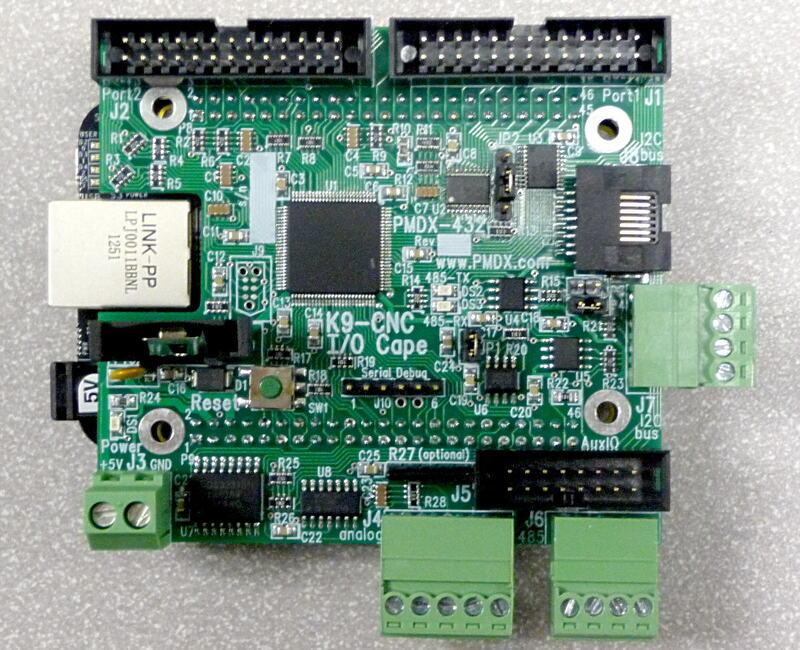 16) K9 CNC I/O Cape is 3.3" by 3.025" and can stack on top of the BeagleBone Black. The mounting holes for this cape directly align with those of the BBB and can share mounting screws if desired. All BeagleBone Black I/O connectors remain accessible. Download the Rev 0.5 Quick Start Guide here. The PMDX-432 is out of stock. The PMDX-432 is currently not a production item due to lack of interest. If a group of users can organize a purchase of 5 or more units, we will consider making another batch. 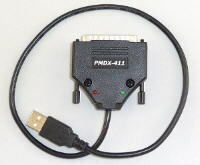 Note: Due to the many possible combinations of connecting the PMDX-432, no cables are included.